Married (Marines)…daughters, Maria Veronica (May 26, 2002) and Maria Valeria (Jan. 1, 2006)…son, Marco Jr. Graduated from Frederico Quiroz High School in Venezuela. Named to the NL All-Star team for the first time in his career, Scutaro batted .297 (145-for-488) with 23 doubles, two HRs and 31 RBI in 127 games in his first full season with the Giants. Played for Team Venezuela in the World Baseball Classic and batted .286 (2-for-7) with one RBI in two games. Was the second hardest batter to strikeout in the Majors, averaging 16.09 PA/K. Hit safely in a 19-straight games from April 29-May 21, which was tied for the fourth-longest streak in the NL. Recorded a multi-hit game in seven-consecutive contests from May 7-14, establishing a new career-high...the last Giant with seven-plus consecutive multi-hit games was Bengie Molina, who had a seven-game multi-hit streak between May 20-28, 2008 (Stats, Inc.). Became only the third player since World War II ended in 1945 to hit .420 or better in a calendar month in which he had at least 100 at-bats and fewer than three strikeouts (hit .420 in May)...the other two are Hall-of-Famers Lou Boudreau (August 1948 for Indians) and Tony Gwynn (August 1993 and May 1997 for Padres). Was forced to leave the game on June 11 at Pittsburgh after LHP Tony W tson hit him in the left hand with a 94-mph fastball...X-rays on his left pinkie finger showed no fracture or dislocation, but after seeing a hand specialist the next day he was diagnosed with a mallet finger - a damaged tendon...had two options besides playing: long immobilization with a splint or a pin to keep his finger straight. Chose to play through his injured finger and hit just .266 (68-for-256) in his final 69 games. Was selected by manager Bruce Bochy to his first-ever All-Star team, being selected as an injury replacement to the Nationals' Jordan Zimmermann…however, he did not play. Struggled following the All Star Break batting just .262 (44-for-168) with seven extra base hits and nine RBI in 46 games. Drew a bases-loaded walk from Boston's Brayan Villareal to force home the winning run of the Giants' 3-2 win over the Red Sox on Aug. 20...according to Elias, it was San Francisco's first walk-off walk since Marquis Grissom was walked by the Diamondbacks Matt Mantei on Sept. 6, 2003. Was shut down for the final 12 games of the season as he had a pin inserted in his damaged left pinky finger in a bid to keep it from being permanently damaged. Was one of the best acquisitions in GM BrianSabean's tenure as he batted .362 (88-for-243) with 40 runs scored, 16 doubles and 44 RBI in 61 games while in a Giants uniform...Was acquired by SF from Colorado on July 27 in exchange for minor league IF Charlie Culberson...Overall, between Colorado and San Francisco, hit .306(190-for-620) with 87 runs, 32 2Bs, seven HRs and 74 RBI in 156 games...His 190 hits were tied for the third-most in the NL and established a personal best...His 74 RBI were also a career-high (previous was 60, twice)...Tied Ryan Braun for the second-most multi-hit games in the NL with 56 (the most of his career)...His 190 hits were the most by a player 36 years-orolder who spent the entire season in the NL since AndresGalarraga had 191 hits for Colorado in 1997 at the age of 36 (Tony Gwynn is next)...Was the hardest batter to fan in the NL, with a 13.9 PA/K... swung and missed a total of just 15 times while in a SF uniform...Since being traded to SF, his 88 hits were the most on the team and tied with Derek Jeter for the most in the Majors,beginning July 28...his 44 RBI were also the second-most on the club (Pence, 45)...Hit safely in 52 of 61 games in a Giants uniform...Batted .339 (100-for-295) since All-Star break, the thirdhighest clip among ML players...Established a career-high with seven RBI on Aug. 8 at St. Louis, going 3-for-6 with a double and grand slam (third of his career) in the Giants' 15-0 rout of the Cardinals..became the first Giants players with seven-plus RBI ina game since Jeff Kent had seven on May 1, 2001 at Pittsburgh...At 36 years and 283 days old, became the oldest player in Giants history with seven-plus RBI in a game...the previous oldest was Phil Weintraub, who had 11 RBI vs. the Dodgers on April 30, 1944 at a younger 36 years old...Ended the season with a career-best 20-game hit streak that began on Sept. 10...tied teammates Angel Pagan and Pablo Sandoval for the second-longest hitting streak in the NL (Jose Reyes, 26)...Overall, started 149 games (109 at 2nd base, 25 at shortstop and 15 at 3rd base).POSTSEASON HIGHLIGHTSIn his second postseason of his career he hit .328 (21-for-64) with eight RBI, helping lead the Giants to their second World Series title in SF-era history...Earned the NLCS MVP after batting .500 (14-for-28) with four RBI...became the fifth player in Giants history to take home NLCS MVP honors...Became one of just four players to record 14 hits in a postseason series, joining Hideki Matsui (2004 ALCS), Albert Pujols (2004 NLCS) and Kevin Youkilis (2007 ALCS)...Became the first player in ML history to record six multihit games in a LCS and just the third ever to do so in apostseason series (Sam Rice for the 1925 Senators and Bill "Moose" Skowron for the 1960 Yankees)...Became just the sixth player to win a postseason series MVP Award after playing for another team earlier that season...became the second Giants player to do so joining Cody Ross (2010 NLCS)...Hit safely in 11-consecutive postseason games, tied for the longest streak in Giants franchise history. Set career highs in games (150), at-bats(632), hits (174), doubles (38), total bases (245),extra-base hits (49) and multi-hit games (47) in1st season with Boston.Hit 11 homers, 1 shy of 2009 career high...Knocked 10as a shortstop, the most by any Red Sox while playing theposition since Nomar Garciaparra in 2003 (28).Became just the 3rd Red Sox that primarily played shortstop to tally at least 10 homers and 150 hits whileaccumulating 600 or more at-bats in a single season, joining Nomar Garciaparra (1997-98, 2002-03) and VernStephens (1948-50).Ranked 5th among AL leaders with 632 at-bats...Tied for 7th in the AL with 14 games with at least 3 hits...Was the 8th-hardest AL batter to fan with 9.79 plate appearances per strikeout...Only 6.2 percent of his swingsmissed a pitch, the 2nd lowest mark in the Majors behind Chicago's (AL) Juan Pierre (5.8).Led the AL with 12 games with 3 or more hits as a shortstop and ranked 3rd in circuit with 43 multi-hit gamesat the position, behind New York's Derek Jeter (52) and Chicago's Alexei Ramirez (44).Went 7-for-13 (.538) with 17 RBI and 2 sac flies in 15 plate appearances with the bases loaded, the 5th-bestclip among AL batters with at least 10 PA in the situation...Put the Sox ahead 7-3 with his 2nd career grandslam on 7/28 at Angel Stadium, tying career highs with 4 RBI and finishing 3-for-5 with 2 walks.Reached safely in 126 of 150 games overall, including at least 1 hit in 112 tilts...Batted .310 (13-for-42)during a season-high, 9-game hitting streak from 6/23-7/3, his longest single-season run since 5/26-6/4/08.Started 62 of Boston's 1st 65 games of the year, including all 34 from 4/12-5/18, a stretch during which hetied for the ML lead with an AL-high 145 at-bats.Batted .282 (164-for-581) with 86 runs while hitting leadoff...Hit 7 times from the 9-hole, his next mostgames in another position in the order.Scored the game-winning run in a walk-off win over TEX on 4/21 (12th inning)...Bunt single in the 9th vs. DETon 8/1 led to the walk-off run scoring on an error.Recorded career-high 4 runs scored at TOR on 4/26...Season-high 3 doubles on 6/7 at CLE matched singlegamemark for the 2nd time (also 6/5/09 vs. KC).Matched career-long streak with homers in back-to-back contests on 3 occasions: 6/3-4 and 7/28-30, 9/8-11.Ranked among AL June leaders in at-bats (2nd, 118), hits (T-5th, 37) and runs (T-8th, 19) and tied for 2nd inthe AL with 107 at-bats in July.Reached safely in 34 of his last 38 games beginning 8/13, including a season-long, 16-game, on-base streakto close out the season...Hit safely in each of his last 7 games of the season at .333 (11-for-33) and tallied 4homers, 11 RBI and 18 runs in 22 September games overall.Each of his last 15 games and 16 of his last 17 contests came as Boston's starting 2nd baseman...Did notappear in the Sox last 3 contests of the season...9/7 against the Rays was his 1st appearance at 2nd base since4/25/09 with Toronto and his 1st start at the position since 9/26/08, also with the Jays.Started at shortstop in both ends of Boston's 9/4 doubleheader against the White Sox and drove in the onlyRed Sox run in each tilt...Was the 1st time he had at least 1 RBI in each game of a twin bill.Tallied a career-high, 11 total bases, matching career marks with 4 hits and 2 homers, on 9/8 vs. TB...Becamejust the 4th player in club history with at least 4 hits and 2 homers in a game from the lead-off spot...Was the1st multi-homer game by a Red Sox shortstop since Pokey Reese on 5/8/04 vs. KC and the 1st 4-hit, 2-homereffort by a Sox shortstop since Nomar Garciaparra, 8/4/02 (4 H, 2 HR at TEX). In 2nd season in a Blue Jays uniform, posted career highs in at-bats (574), runs (100),hits (162), doubles (35), home runs (12), walks (90), stolen bases (14), batting average (.282),on-base percentage (.379) and slugging (.409) in 144 games...Matched career mark with 60 RBI, set in 2008...Ranked 7th in the AL in walks and tied for 11th in runs...90 walks also placed 2nd among ML leadoff hitters...Led the Majors with 38 walks leading off an inning...Finished tied for 11th in the AL, reaching base 256 times...Scored 99 runs as a shortstop, 2nd in AL at the position...Set TOR single-season, club records in runs scoredand walks (90) as a shortstop, passing Tony Fernandez in both categories (91 runs in 1986; 71 walks in 1990)...Led the Blue Jays with a .322 average (93-for-289) and .405 on-base percentage on the road, finishing 8thand 4th respectively among AL leaders...Posted a .984 fielding percentage in 143 starts at shortstop (10 errors/621 total chances), 3rd-best markamong American League shortstops...Also placed 2nd among AL shortstops with 421 assists and 99 double plays...Knocked 2 leadoff homers, 4/17 vs. OAK and 4/30 at KC...Hit 5 home runs in April, career high for a single month...Reached base safely in 1st 13 tilts (.306, 15-for-49,12 walks), including 6-game hit streak to start the season, 4/6-11 (.435, 10-for-23, 2 HR, 5 RBI, 9 R)...Reached base in 22 consecutive games from 6/30-7/28 (.337, 30-for-89, 11 BB, HBP)...Played final game on 9/20 at TB, after injuring his heel (plantar fasciitis)...In March, batted .385 (5-for-13) in 5 games for Venezuela in the World Baseball Classic. In his first season with Toronto played in acareer high 145 games... Batted .267 with seven home runs& a career high 60 RBI...Also establishedcareer highs in at bats (517), runs scored (76), hits(138), total bases (184), walks (57) and stolen bases (7)...Made 53 starts at shortstop, 39 atsecond base, 35 at third baseman, four in left field, two atfirst base & one as the DH... On opening night in New York,stole two bases... Was the most in a single game by a Jaysince Vernon Wells stole twice vs. KC back on Aug. 27,2006... From May 7-June 4, batted .320 (32-100) in 27games... Hit his first home run of the season on May 3 vs.CWS... Had four hits on June 24 vs. CIN, matching his careerhigh (3rd time, last on Aug. 19, 2007 vs. KC)... In fact,he recorded two hits in the 1st inning becoming the 1st Jayto record two hits in the same inning since Gregg Zaun onJuly 25, 2007 vs. MIN (6th inn)... Reached base safely in 19straight games from Aug. 10-Sept. 2... On Aug. 21 vs. NYYmatched his career high with four RBI (5th time, 2nd of theseason)... Hit in a season high nine straight contests fromMay 26-June 4, batting .324 (12-37) with seven runs scoredover that span... Batted .297 (44-148) with three home runs& 18 RBI over his final 37 games of the season... On Sept. 9at CWS, hit a leadoff home run for the 1st time since June 5,2005 vs. TOR (2nd career)... Batted .296 (37-125) with runnersin scoring position (3rd best on the Club)... His best offensivemonth came in May where he batted .319 (30-94)over 27 contests...Made just eight errors in557 total chances, split between five different positions(.986 combined fielding %). In 104 games with the A's, batted .260 withseven home runs and 41 RBI...IN THE FIELD: Started 38games at SS, 33 at 3B, 12 at 2B, two at RF and one atLF...Committed nine errors in 36 games at third base for a.906 fielding percentage...Did not commit an error in 13games at second base...His four games and two starts inright field were the first of his career...Tied the AL record forerrors by a third baseman in one game when he made fouron July 6 vs. SEA...Played in the 500th game of his careeron July 25 at LAA...WALK IT OFF: Started the season1-for-20 before hitting a three-run walk-off home run on a 0-2pitch off Mariano Rivera on Apr. 15...It was his second careerwalk-off home run (also Aug. 25, 2004 vs. BAL)...Hit hisfirst career grand slam and matched his career high withfour RBI on Aug. 6 at TEX...The slam came in the 1st inningoff John Rheinecker in the A's 9-7 13 inning victory...Hadanother four RBI game less than a week later on Aug. 12 atDET and had 10 RBI in 10 games vs. the Tigers...A HOTAUGUST: Was a perfect 4-for-4 on Aug. 19 vs. KC and thensingled in his first two at bats the next day vs. the Blue Jaysto give him six consecutive hits...The four hits vs. the Royalsmatched his career high...Had 20 of his 41 RBI and three ofhis seven home runs in 25 games in August...The RBI werehis most ever in a single month. Batted .266 with five home runs and 41 RBI in 117games total in 2006...Led the A's and tied for 10th in theAmerican League in triples...Swung and missed at just9.5% of his pitches which was the sixth lowest percentagein the AL...Joined the A's late during the spring as heplayed for Venezuela in the World Baseball Classic...Went0 for 4 with a walk and a run scored in four WBCgames...Committed an error on June 25 at San Francisco,snapping a 41-game errorless streak as a second basemandating back to his last error on July 5, 2005 at Toronto...Hithis first home run of the season on July 5, snapping a60-game, 176-at bat homerless streak dating back to hislast home run on September 27, 2005 against Los Angeles...Homered in back-to-back games on July 22 and 23at Detroit, the first time he has homered in back-to-backgames in his career...Had a game-ending RBI single in thebottom of the 12th inning on September 22 in the A's 5-4 winover Los Angeles...It was his eighth game-ending plate appearancein three seasons with the A's (one home run, sixsingles and a sacrifice bunt/error). 2006 POST-SEASON: Started all seven postseason gamesfor the A's at shortstop...Hit .333 (4 for 12) with four doublesand six RBI in three games against Minnesota in theALDS...The four doubles tied the LDS record...Had four RBI in Game 3 in Oakland on October 6 to tie an Athletics recordfor RBI in a post season game...then went 1 for 15 (.067) inthe ALCS against Detroit and batted .185 (5 for 27) with sixRBI overall in the postseason. Hit .247 with nine home runs and 37 RBI in 118games...Swung and missed at just 7.8% of his pitcheswhich was the lowest percentage in the American Leagueand the second lowest by an Athletic since the stat wastracked starting in 1987...His lone error at second basecame on July 5 at Toronto in the 9th inning and it allowed thetying run to score in a game the A's would win 10-7 in 11 innings...It snapped a 60-game errorless streak at secondbase dating back to July 30, 2004 at Texas...That equaledthe third longest errorless streak by a second baseman inOakland history...Hit his first career leadoff home run onJune 5 against Toronto...Made his first career start in theoutfield on July 30 against Detroit in left field, the secondoutfield appearance of his career. Set what was then an Athletics record for fielding percentageby a second baseman as he committed just threeerrors in 546 total chances for an American League leading.995 fielding percentage...Did not commit an error in hisfirst 48 games at second base, made three in his next 32games and then finished the season with a 43-game errorlessstreak...Including .278 in 123 games as a secondbaseman which was the third best batting average by an ALsecond baseman...Also hit .313 when batting in the ninespot in the batting order which was the best mark in theAL...Since 1974, that is the 4th best batting average by aplayer hitting in the nine spot (minimum 300 plate appearances)...Committed his first error of the season as a secondbaseman on June 17 at St. Louis, snapping a 63-game errorlessstreak at second base dating back to August 28,2003 against Atlanta...Hit his first career "walk-off" homerun on August 25 against Baltimore, a three-run shot in theA's 3-0 victory...Hit .335 with a .414 on-base percentageand .506 slugging percentage in 41 games with Caracas inthe Venezuelan Winter League...Ranked 4th in the league inon-base percentage and 7th in batting. Began the year at Triple-A Norfolk but had two stintswith the New York Mets...Was with the Mets during thespring but was optioned to Norfolk on March 17 before beingsent outright to Norfolk on April 3...Was selected on May15 and went 2 for 17 (.118) in 10 games before he wasoptioned back to Norfolk on June 6...Was designated for assignmenton June 26 and sent outright to Norfolk on June30...Selected again by the Mets on July 31 and spent the remainderof the year with New York... Played for Caracas inthe Venezuelan Winter League and batted a league leading.359 in 46 games...Also led the league in on-base percentage(.435), tied for the league lead in doubles (17) and wasfourth in stolen bases (9). Was with Milwaukee in spring training but wasoptioned to Indianapolis on March 18 and designated forassignment on April 3...Claimed by the New York Mets onApril 5 and began the year at Triple-A Norfolk...However,made his Major League debut with three separate stintswith the Mets...Recalled for the first time on July 19 andmade his ML debut on July 21 at Cincinnati at second basein the sixth inning...Collected his first ML hit on July 22, agame-winning two-run triple in the bottom of the 7th inningoff the Expos Tomo Okha to give the Mets a 5-2win...Optioned to Norfolk on August 1 but returned to NewYork on August 10...Made his first Major League start onAug. 18 against Los Angeles at shortstop...Optioned backto Norfolk on August 21 and recalled a final time on September2...Hit his first career home run on Sept. 27 in the secondgame of a doubleheader against Atlanta off KevinGryboski.... Won the Doubleday Award at Norfolk as the topplayer on his team...Finished 5th in the International Leaguewith a .319 batting average...Represented Norfolk at the Triple-A All-Star Game and was named to the IL Post SeasonAll-Star team...Was selected to the Topps Triple-A PostSeason All-Star team...Earned IL Player of the Week honorsfor the week of May 13 to 19. Spent the entire season at Triple-A Indianapolis andwas named his team's Most Valuable Player...Ranked 2ndin the International League in runs (87), tied for 4th inon-base percentage (.382), 5th in hits (146) and 9th in batting(.295)...His batting average was 5th best in the Milwaukeefarm system...Was named IL Player of the Week for theweek of May 28 to June 3...Scored a run in 14 consecutivegames from May 30 to June 12...Appeared in 122 games atsecond base, five at third base and four at shortstop. Spent the entire year at the Triple-A Level, batting.275 in 124 games at Buffalo and .538 in four games at Indianapolis...Was sent to the Milwaukee Brewers organizationon August 30 as the player to be named later in the July 28trade in which Cleveland traded outfielder Richie Sexson,pitchers Paul Rigdon and Kane Davis and a PTBNL to Milwaukeefor pitchers Bob Wickman, Jason Bere and SteveWoodard...Hit .283 in 128 games with both clubs andadded 62 walks. Spent the entire season at Triple-A Buffalo and hit.273 with eight home runs and 51 RBI in 129 games...LedBuffalo in games, at bats (462), runs (76) and hit by pitches(6) and finished 2nd in hits (126), doubles (24), walks (61)and stolen bases (21)...had five hits on May 17 at Toledoand finished May with a .346 batting average...hit the gamewinning grand slam with two outs in the bottom of the 9th inningon Aug. 2 vs. Syracuse. Named to the Eastern League Postseason All-StarTeam as the second baseman...Spent most of the year atAkron (AA) where he hit .316 with 11 home runs and 62 RBIin 124 games...Finished 3rd in the league in batting, 4th inon-base percentage (.387), 5th in stolen bases (33) andtied for 5th in triples (6)...Also had an eight-game stint at Triple-A Buffalo and combined at both stops for a .311 battingaverage, which was 4th best in the Indians farm system...His 33 stolen bases were the best...Batted .416 inJuly, the 5th best average in the minors...Had five hits andfive RBI on July 14 against Reading and was named EasternLeague Player of the Week for the week of July 13-19...Hit.222 with two RBI in four playoff games for Akron. Started the year at Kinston (A) of the Carolina Leaguebut had three separate stints at Triple-A Buffalo...Combinedfor a .271 average with 11 home runs and 65 RBI in 118games...Tied for 4th in the Indians farm system with 23steals...Finished tied for 5th in the Carolina League with sixtriples while playing for Kinston...Had five hits on May 11against Frederick and was named Carolina League Playerof the Week for the week of May 8-14...Hit .214 (3 for 14) withan RBI and a stolen base in four playoff games for Kinston. Hit .251 with 10 home runs and 45 RBI in 85 games forColumbus (A) of the South Atlantic League...Most of hisplaying time came at second base where he appeared in 78games. Finished second in the Dominican Summer Leaguewith a .393 batting average for the Indians affiliate...also ledthe league with 103 hits and was the third baseman on theDSL Post Season All-Star Team. 2 de noviembre de 2015 2B Marco Scutaro elected free agency. 17 de junio de 2015 San Francisco Giants signed free agent 2B Marco Scutaro. 17 de junio de 2015 San Francisco Giants placed 2B Marco Scutaro on the 60-day disabled list. 28 de enero de 2015 San Francisco Giants released 2B Marco Scutaro. 21 de enero de 2015 San Francisco Giants designated 2B Marco Scutaro for assignment. 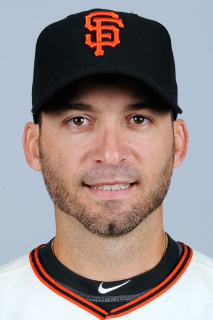 3 de noviembre de 2014 San Francisco Giants activated 2B Marco Scutaro from the 60-day disabled list. 11 de julio de 2014 San Francisco Giants activated 2B Marco Scutaro from the 60-day disabled list. 7 de julio de 2014 AZL Giants sent 2B Marco Scutaro on a rehab assignment to Fresno Grizzlies. 7 de julio de 2014 San Francisco Giants sent 2B Marco Scutaro on a rehab assignment to Fresno Grizzlies. 24 de junio de 2014 San Francisco Giants sent 2B Marco Scutaro on a rehab assignment to AZL Giants. 4 de diciembre de 2012 San Francisco Giants signed free agent 2B Marco Scutaro. 3 de noviembre de 2012 2B Marco Scutaro elected free agency. 11 de octubre de 2012 Marco Scutaro assigned to Leones del Caracas. 28 de julio de 2012 Colorado Rockies traded 2B Marco Scutaro to San Francisco Giants for 2B Charlie Culberson. 21 de enero de 2012 Boston Red Sox traded 2B Marco Scutaro to Colorado Rockies for RHP Clayton Mortensen. 7 de junio de 2011 Marco Scutaro roster status changed by Boston Red Sox. 4 de junio de 2011 sent SS Marco Scutaro on a rehab assignment to Pawtucket Red Sox. 8 de mayo de 2011 Boston Red Sox placed SS Marco Scutaro on the 15-day disabled list. Strained left oblique. 4 de diciembre de 2009 Boston Red Sox signed free agent SS Marco Scutaro. 6 de noviembre de 2009 SS Marco Scutaro elected free agency. 7 de octubre de 2009 SS Marco Scutaro assigned to Leones del Caracas.